Kickboxing is the sporting side of Kung Fu and consists of the basic fitness training you will find in a Kung Fu class with basic hand and feet blocking techniques. The emphasis within our association is on competition fighting in either points fighting or light continuous categories. Alex Barrowman has many years of experience fighting and coaching in national and international competitions. He has over 70 major titles won during his fighting career and has coached national and world champions. Kickboxing training is great for fitness and confidence building. It enables you to become more flexible, stronger and improves your general wellbeing. Even if you are not interested in competition fighting there are still reasons why kickboxing may be the sport for you. For example to keep fit, to learn to be able to defend yourself or simply to go through the grades and achieve a black belt. All of this is available within the BCKA. 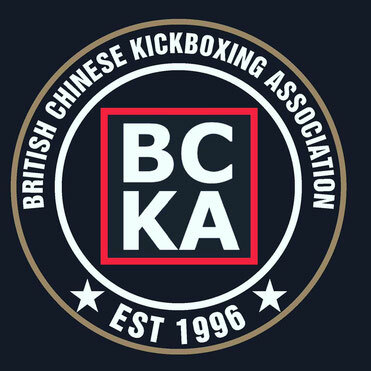 The BCKA as an organisation regularly compete in national and international tournaments. Our students fight either in semi contact (points) fighting or light contact (continuous) fighting. Semi Contact is a stop / start contest between two fighters. The principle is simply to use a range of techniques in order to clearly strike your opponent and score a point. Every time a clear technique is landed the fight is stopped and a point is awarded. The amount of points and who they go to is decided by three referees with majority rules. Different techniques and target areas can determine a different amount of points being awarded. The fighter who scores the most points in a bout is the winner. Semi Contact is fast paced and exciting to watch, as such fighters are reliant on speed, accuracy and technique to score their points. Light Contact resembles full contact kickboxing, the only difference is that techniques and power is controlled. Fighters will fight continuously for the whole duration of the round, showcasing their techniques and fighting abilities. The winner is determined by three judges with the fight being regulated by a centre referee to ensure rules are followed and contact is kept light. Light Contact is also exciting to watch with fighters putting together different combinations of techniques in order to impress the judges and control the fight. If you are interested in learning Kickboxing please contact the main instructor in your area for time and venue information.